3 level parking garage right next to our Office Building. Drive to circle at the end of Woodland Park Rd. & turn right for our Office Building #2201 and visitor parking in front. 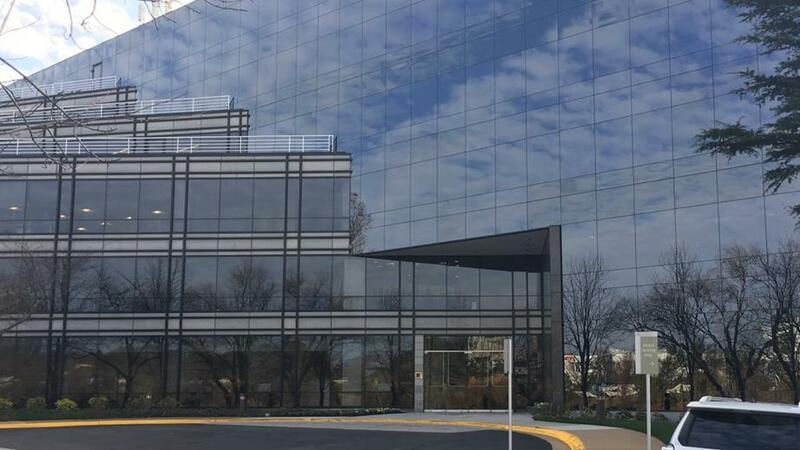 Building Entrance faces pond with sprinkler that is directly adjacent to the Dulles Toll Rd. East. Sell Your Car in Herndon - Fast, Safe, Fair! The We Buy Any Car Herndon location is literally just down the street from the Washington Dulles International Airport and perfectly settled between routes 267 and 28. We Buy Any Car prides itself on being one of the premier car buyers without all of the pretentiousness and days of paperwork. Begin by using our online valuation tool to determine how much your car is worth. Make an appointment at our Herndon location and walk away with a corporate check for the fair market value of your car. It really is that simple! Visit our We Buy Any Car Herndon branch today and experience the top notch customer service and professionalism everyone is talking about. We've listed answers to the most common questions on the frequently asked questions section of the website but if you'd like to talk to someone, you can reach Daniel Abraha who manages our Herndon car buying center at (703) 788-6743 during branch opening hours, listed above. Daniel Abraha, who manages our Herndon branch, will greet you upon arrival at your appointment to sell your car. Daniel will ensure that you have all of the correct documents and proofs of identity needed when selling a car. After that, Daniel will conduct a short inspection of your car to check its condition. This usually takes around ten minutes and you can accompany Daniel during the entire car buying process. When you sell your car at our Herndon branch, it is best to arrange a ride from a friend or family member in advance of your appointment. If that is not an option, the branch manager has a list of public transportation options available to you.